Six unique vacation homes next to Giants Ridge Golf & Ski Resort. Visit our website for more information and easy online booking. 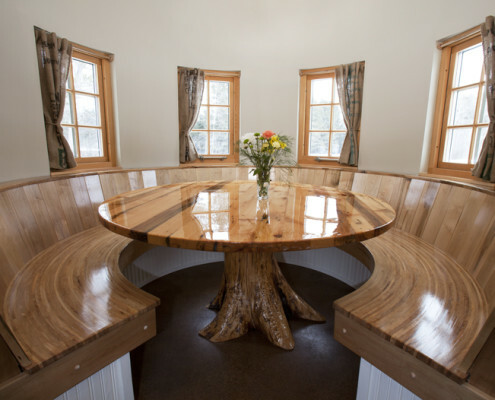 The Green Gate Barn Home is truly unique, combining all the modern amenities with the rustic charm of the original 1935 hay barn that inspired the project. 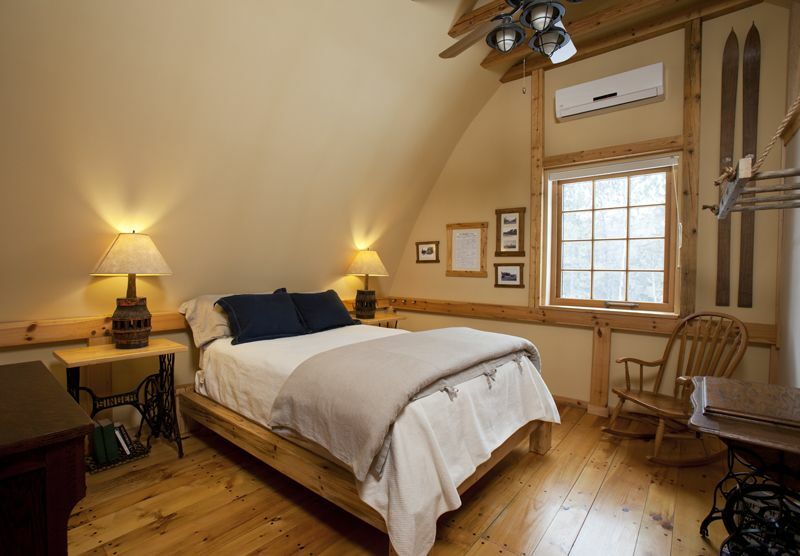 The 2 bedroom, 2 bathroom guest house can accommodate up to 6 people. A well-commissioned kitchen, dining room, and comfortable lounge area with cable TV and WiFi make Green Gate your home-away-from-home. Guests can also enjoy campfires, explore the surrounding countryside, or relax at a lake beach just a few minutes away. 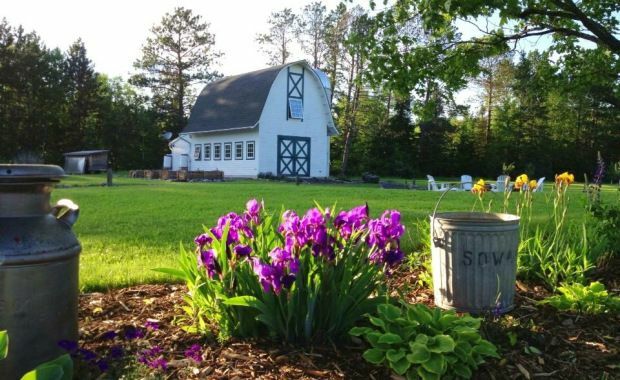 The Green Gate Farmhouse is the property’s second vacation rental offering. 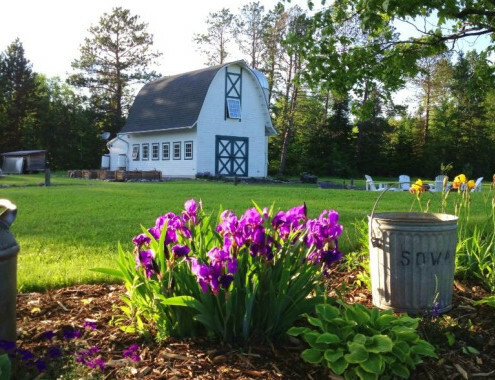 This charming century-old farm house has been extensively renovated and updated. 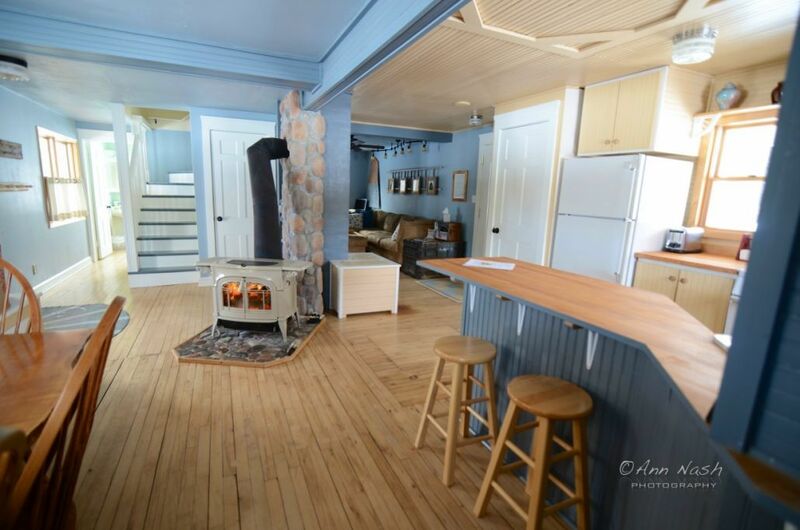 Similar in size to the barn home, The Farmhouse has a full kitchen, a beautiful maple slab dining table, and living room with WiFi and Direct TV. 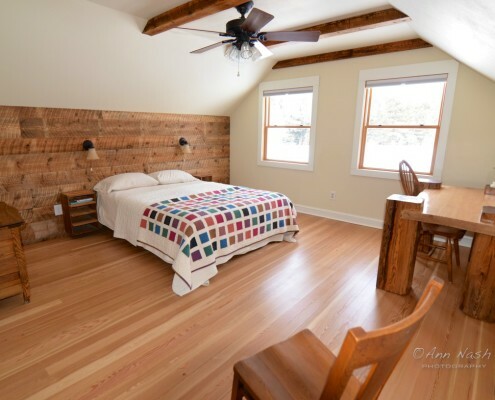 The upper floor provides one spacious private bedroom with a queen bed, a writing desk, plus a loft area with two twin beds. The newly added open front porch and three-season back porch are great for lounging (and sleeping!) during the warmer months. The Log Cabin is the third home at the Green Gate Property, and can best be described as “Pioneer Living in Style!” Some time around 1890, a very talented Finnish builder crafted several traditional log buildings on Minnesota’s Iron Range. We are fortunate to have one of these well-preserved structures, and have masterfully converted it into a year-round home. 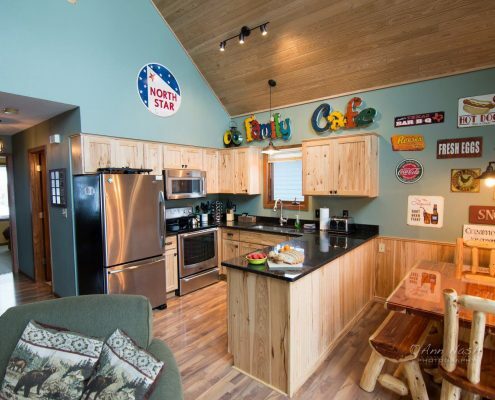 The Log Cabin is a comfortable and very well-equipped home in a small footprint. The 15′ x 15′ floorplan includes a kitchen, dining table, sofa and wood stove, plus a full bathroom neatly tucked below the loft staircase. 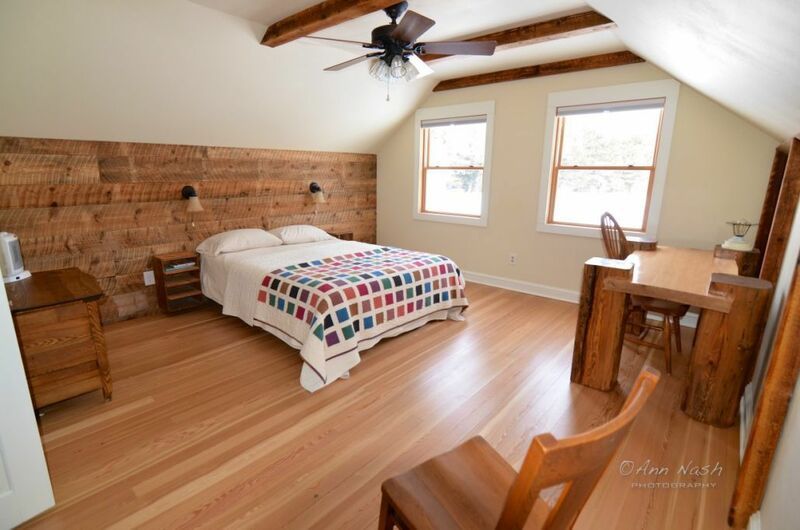 Thanks to the Norwegian owner (who also happens to be an engineer), this 1890s Finnish log cabin is equipped with modern mechanicals including air conditioning, in-floor heat, and a high-efficiency tankless water heater for endless hot water. 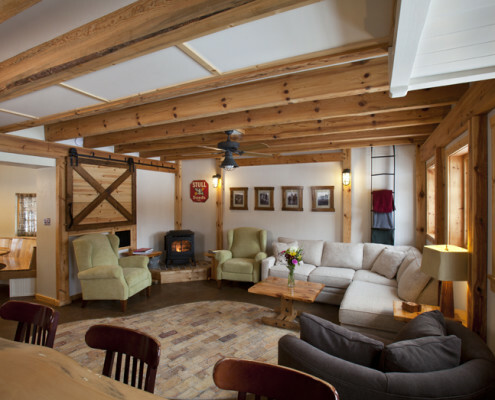 To complete your log cabin experience, there is also a gorgeous glass-fronted wood stove and always a full supply of firewood available during your stay. 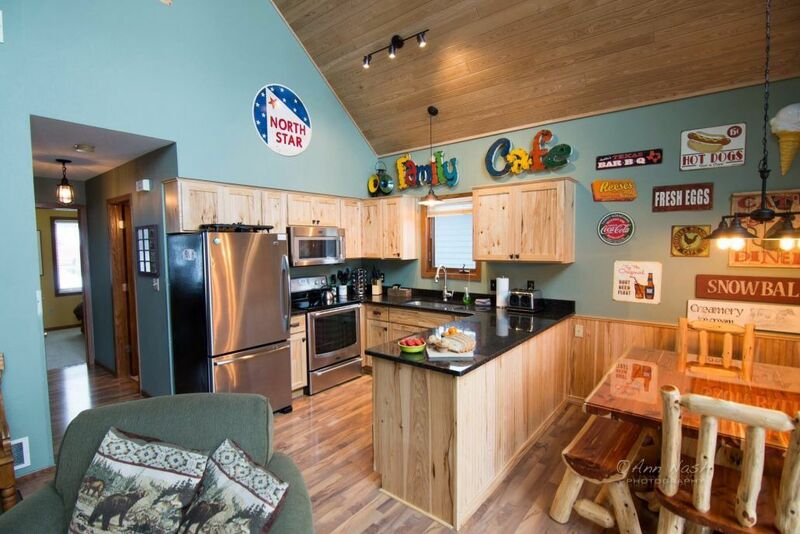 The well-appointed kitchen on the main floor includes a 2-burner gas cooktop, farm sink, concrete countertops, an undercounter refrigerator/freezer, coffemaker, microwave, and cookware/serving ware for 2-3 guests. 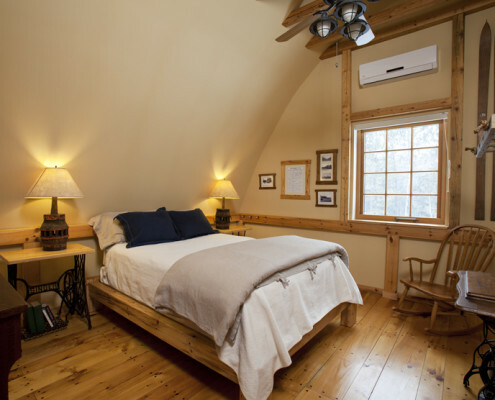 The upper floor provides a peaceful rest space with a full-sized platform bed, reclaimed oak flooring, vaulted ceiling, air conditioning, DVD player, and great views of the surrounding forests. For those groups too large for our other homes, and for those wishing to be “on the hill” or “at the lake,” we are pleased to offer two villas at the Giants Ridge resort area: our slope side and lakefront vacation home that accommodates up to 13 guests, and our cozy beachside one-bedroom villa for 2-4 guests. 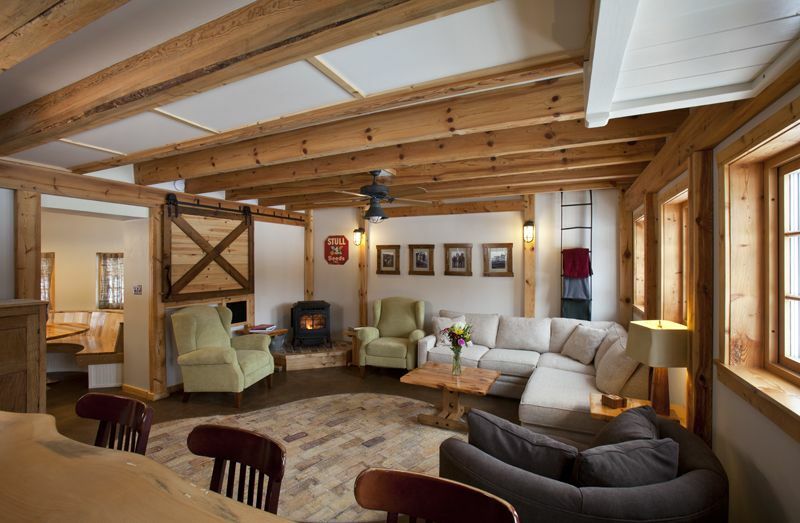 Enjoy direct access to alpine and Nordic skiing, plus a classic northern Minnesota “lake place” living at these properties directly within the Giants Ridge Golf & Ski Resort area. Visit our website for more information on all the Green Gate properties. 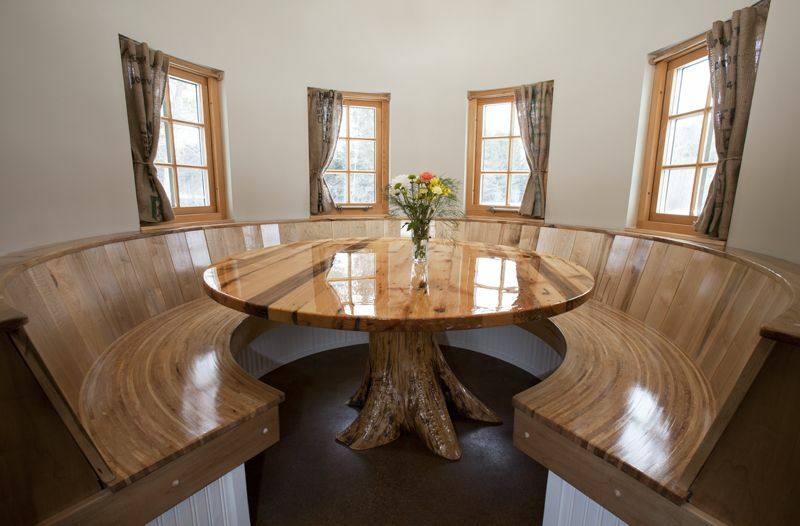 Green Gate Guest Houses are sustainable lodging facilities. We support sustainable tourism by following strict green building standards, choosing environmentally-conscious purchases, adopting energy conservation and renewable energy technologies, using environmentally friendly products and supporting non-motorized recreation. 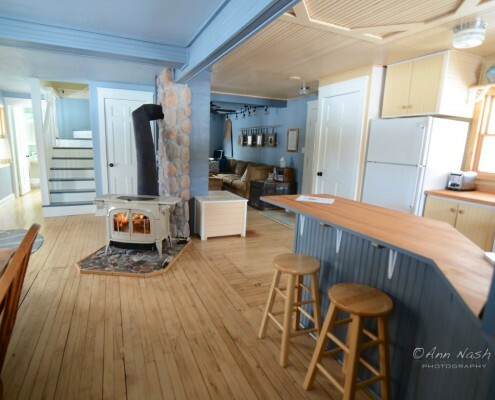 Located 1.5 miles from Biwabik and 3 miles from Giants Ridge Golf and Ski Resort. Direct access to the Mesabi Bike Trail and Snowmobile Trails. Water access for swimming and paddling nearby, and 1/4 mile from Superior National Forest Scenic Byway. Credit cards accepted include: Visa / MasterCard & Discover. For cancellation policies and restrictions please call for details.